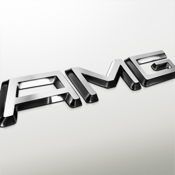 The new Mercedes-Benz AMG App gives you a rare look into the world of the AMG Brand and AMG products. See and hear the cars on the track and delve into the technology that makes these products singular in the industry. This app offers the ability to view exterior colors, interior upholstery options, wheels and much more. Also included is an extensive AMG historical timeline and information on AMG's Driving Academy.